Darren is an experienced trial lawyer who represents plaintiffs and defendants in courts across the country. Darren’s practice involves a wide variety of matters, from complex commercial litigation and intellectual property disputes to product liability and white-collar criminal defense. With each client, Darren invests the time and effort to identify their objectives and to tailor a strategy to achieve them – whether trying a case, negotiating a settlement, avoiding litigation, or pursuing another option entirely. Darren’s clients highly value the clarity of his advice, and his tenacious advocacy. 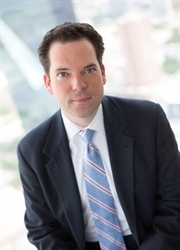 Darren began his career in the litigation practice group of Arnold & Porter LLP and joined Sayles Werbner in 2008.